I’m Morgan, the woman behind Enlightened Beauty. It has been such a dream of mine to share my passion for helping people feel beautiful in their own skin. I created Enlightened Beauty early 2014 after my passion for makeup lead me to become a licensed esthetician. I have been in the beauty industry for over 11 years working for brands and companies such as Nordstrom, Bare Essentials, Too Faced cosmetics, YSL, and Armani. 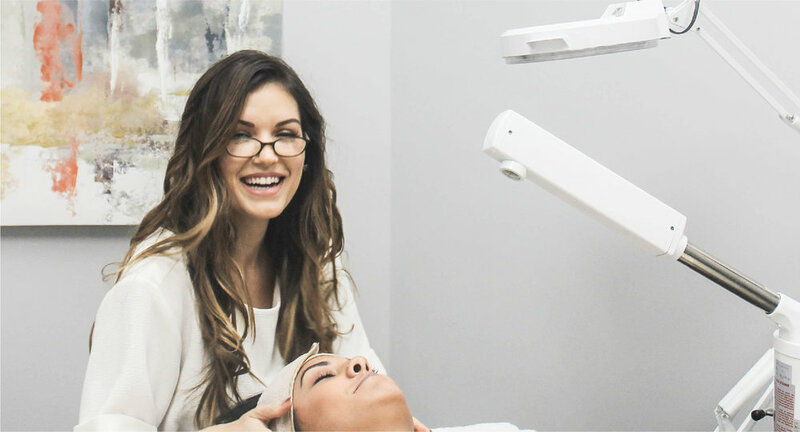 Since becoming a licensed esthetician, I’ve worked at several high-end spas and beauty/wax bars in Sacramento before moving to Huntington Beach and working in a waxing boutique. After deciding to move back to Sacramento, I knew it was time to use all my acquired expertise to launch Enlightened Beauty. My focus is not only helping people feel beautiful in their own skin but also to offer high-quality skin and beauty products that are always cruelty free and frequently vegan. I am a results driven esthetician and my end goal is always to transform your skin in to what you have always dreamed of. I treat the skin as a whole system and we talk not only what you are using topically but also what you are putting into your body that could be contributing to the underlying problem. I am also a certified holistic health and wellness coach through Integrative Nutrition and I feel there is a direct correlation between mind, body, and soul. Creating Enlightened Beauty has allowed me the freedom to bring only the best products and services to my clients. I use only cruelty-free, organic, and vegan based products that have the lowest environmental impact. I believe it is important that we take care of ourselves as well as the world we live in.